We are very excited to be able to add hundreds of new pieces to the site from BrickForge. 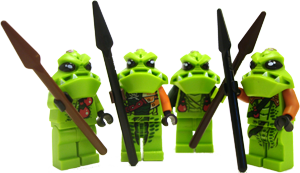 BrickForge makes fantastic LEGO-compatible pieces for minifigures, of all types. We've got swords for fighting, staves for wizarding, and instruments for playing. Hint: Since they aren't in a single category, if you want to see them all at once, just do a search for "BrickForge".